1. High Energy. 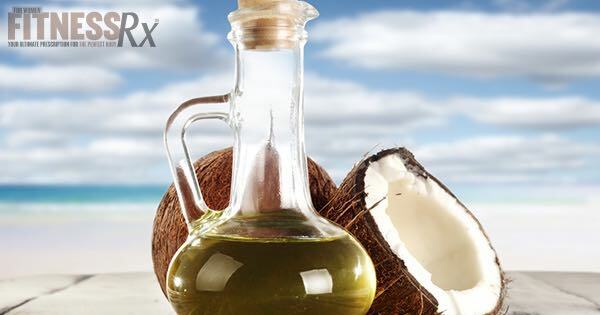 Coconut oil is a medium chain triglyceride, which is made up of medium chain fatty acids (MCFA). This type of fat is easier to digest than longer chain fats and, thus, provides energy more quickly and actually boosts metabolic rate. 2. It’s Versatile. It can be easily added or substituted into to almost any recipe and, unlike olive oil, is stabile at high temperatures. So, it’s perfect for sautéing. 3. Improves Satiety & Controls Hunger. Research has shown that MCFA fats help to reduce appetite by increasing feelings of satiety. 4. Boost Testosterone Production. Coconut oil can also naturally boost your testosterone production. A study from G. Hurtado de Catalfo and colleagues found that coconut oil helps with testosterone production by enhancing the activity of the enzymes that synthesize the hormone. 5. Immune Support. Coconut oil has lauric acids and monolaurin, which have antiviral and anti-fungal properties. As a Dentist, I often recommend coconut mouthwash oil for its anti-bacterial properties. 6. Beautification. Do you know that you can also use coconut oil for beauty and cosmetics uses? I have a very dry skin and hair, so I apply a small portion to my skin and my hair. It adds moisture without being greasy. 7. Delicious. Last, but not least, coconut oil is delicious. Add it to your coffee or tea as a natural sweetener and energizer. It helps me to do this whenever I am having cravings! Speaking of delicious, here is a wonderful recipe for you to try featuring coconut oil. Preheat oven to 300 F. Combine all the ingredients, except the nuts, and mix well. Chop the walnuts and add to the mix. Portion and bake for 12 to 15 minutes.